When I first encountered this South American species, many years ago, it was called Paulicea lutkeni and the one we got was a chunky little (10”) dark grey specimen, beautifully marked with a multitude of small black irregular spots. It went into a 6 foot tank with a neutral pH, which had some rounded cobbles and small boulders where it scuttled off to nuzzle up against a rock-pile in one of the back corners. It proved to be unfussy as to the food stuffs it would eat and eagerly accepted prawns, cockles, mussels, fish pieces & sinking pellets. Tank-mates neither bothered it nor were they harassed by the Jau, as far as I could see (they included large Clarias, similar sized Oxydoras & large Vieja bifasciatum). It was in the tank for a number of weeks where it I was, I believe, largely unnoticed, as it tended to stay in its chosen back corner. One day I was rearranging some of the rocks to make sure they were completely stable and that a heater was protected when I felt an unexpected sharp nip to my hand. The little Jau has a grasp of two of my fingers and wasn’t about to let go, that was until I pulled my arm out then he started to be lifted out of the water, where he promptly let go, scuttling back to his preferred spot in the tank. What the beginning section of the article hopefully emphasizes is that this fish does occasionally appear in the trade, it is easy to keep and despite a predatory nature, can be mixed with other fish when it is small. What I haven’t yet covered is what happens to the fish when you’ve had it for a few years. Any predatory fish that grows above a foot will firstly produce a lot of waste which needs addressing with adequate filtration and regular water changes. Then there is the size: this fish gets to a staggering 5 feet in length and can weigh 50kg or more. Aquaria seldom exist that are suitable for such a fish and even some indoor ponds are perhaps a bit small. 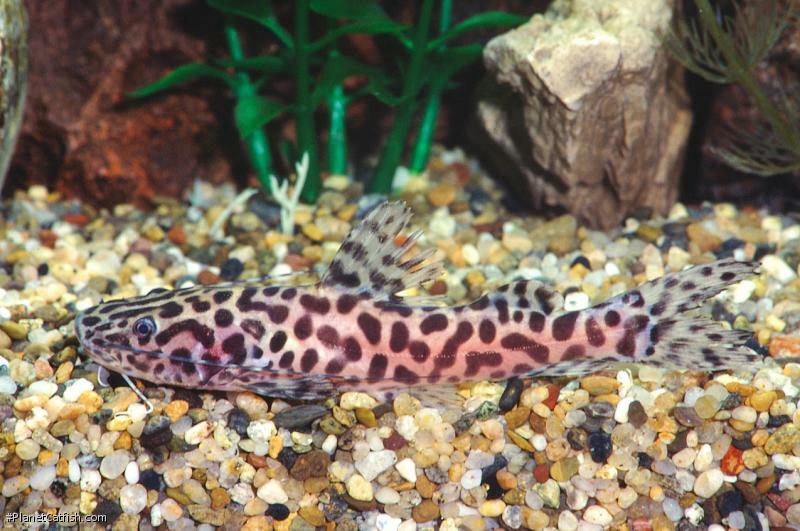 In short this is not a catfish suitable to be kept in captivity except in a few rare circumstances. A full grown adult would need to be kept in an aquatic enclosure of at least a 20 x 10 foot footprint. On top of that bet on massive filtration and if you do all that right, it will eat then you out of hose and home. From pictures on the intranet it would appear that these are being imported at quite small sizes and there is no doubt they are attractive looking but I urge you to avoid them, unless of course you do have a 20+ foot tank and intend to keep it running for a few decades! Type Locality Near Tomependa, Río Marañon, Amazon R. basin, Peru. Etymology Zungaro is the native name applied to many large pimelodids. Size 1400mm or 55.1" SL. Find near, nearer or same sized spp. Distribution South America: Amazon and Orinoco River basins. Feeding Mainly piscivorous, hunts at night, sometimes going into flood prone areas of rivers.